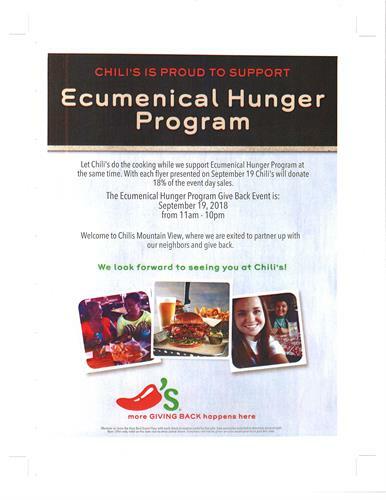 On Wednesday, September 19th, between 11 am and 10 pm, when you eat at Chili's Mountain View and show this post or our flyer to your server, Chili's will donate 18% of your purchase to EHP. Enjoy a night out and help raise money for EHP. Thank you for your support!